With only four days until the curtain is drawn on UFC 119, the world’s biggest MMA promotion has finally confirmed main event fighter Mirko “Cro Cop” Filipovic and his battered eye have been medically cleared to participate in this Saturday’s showdown with Frank Mir. “Legendary Croatian striker Mirko Cro Cop has been examined by an ophthalmologist in Indianapolis, site of Saturday’s UFC 119 event at Conseco Fieldhouse, and has been medically cleared to compete in the main event this weekend against former two-time heavyweight champion Frank Mir. 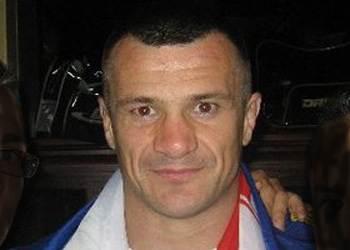 Last Friday, the normally reliable Croatian website Index.hr reported that Filipovic had suffered an eye injury while training and couldn’t obtain medical clearance for his scrap with Mir. The following day, CC confirmed his eye injury with Fighters Only just as he was boarding a plane bound for the Conseco Fieldhouse in Indianapolis, Indiana, site of Saturday’s event. At the time, the striker was disobeying his doctor’s orders by going ahead with the fight. However, today’s report should set potential pay-per-view purchasers at ease. CC was last seen submitting Pat Barry with a 3rdRound rear-naked choke at UFC 115 in mid-June and was under the impression that he had a break coming. Unfortunately, Antonio Rodrigo Nogueira suffered multiple injuries during his training camp and Octagon brass came calling for a last-minute replacement. The last time the soon-to-be 36-year-old took a scrap on such a quick turnaround was following his TKO win over Mostapha Al-Turk at UFC 99 in June 2009. He was violently put down by Junior dos Santos three months later at UFC 103.